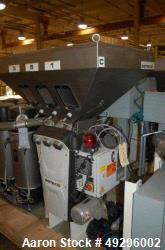 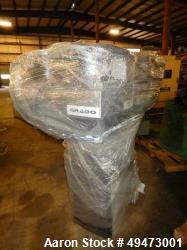 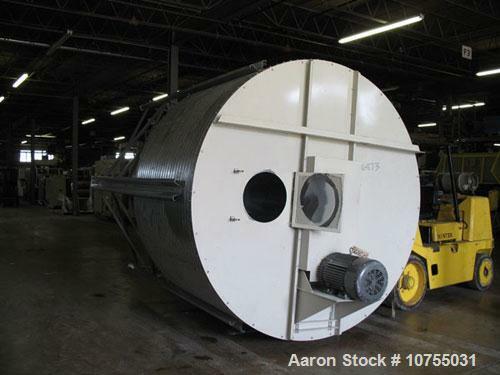 Used-Approximate 10,000 lb Capacity Vertical Blender. 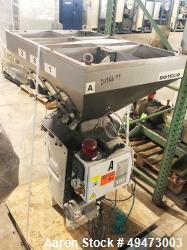 15 hp, 230/460 volt motor, 12" auger mixer, 3" OD vacuum take-off, side mounted box fill outlet with slide gate, clean out door. 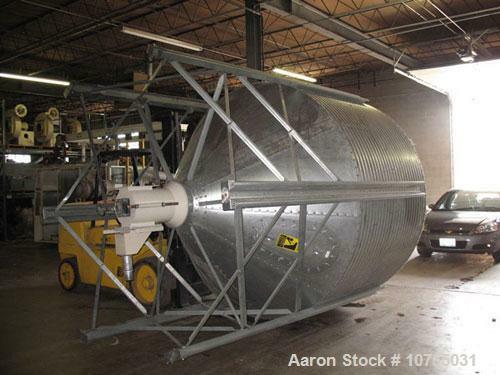 Mixer measures approximately 9' diameter, 66" long straight side, 48" long 45 degree cone, mounted on a stand. 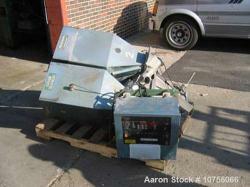 Reported in very good condition.